When you think about buying an investment property you probably wonder where you even start. Below are some major questions to ask yourself before diving into the investment property industry. 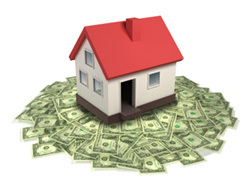 What are the benefits of buying an investment property? What should I consider before buying an investment property? Can I use my current home’s equity to buy an investment property? What basics should I understand about real estate loans? How will you evaluate my mortgage application? How can I get started with investment home buying? How do I estimate what I might be able to borrow? How can I find a property that meets my needs? What occurs during the rest of the home buying process?